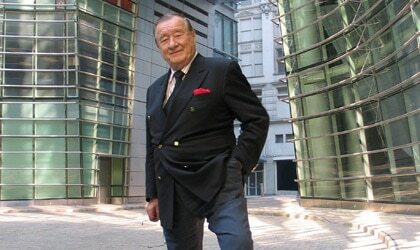 Known by his first name, Sirio, he commands an attention and respect that's larger than any of his grand restaurants. 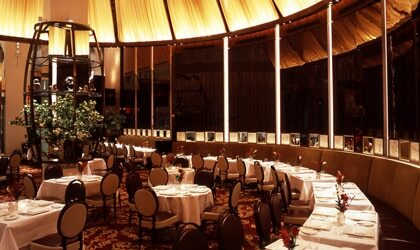 "Sirio" strode into New York in March, 1974, opening Le Cirque in the Mayfair Hotel, and the city along with the rest of the restaurant world have never been the same since. It became the first privately owned hotel-restaurant in the Big Apple and quickly grew into the city's most favored restaurant, frequented by those featured in the society pages, from politicians and entertainers to artists and royalty. Le Cirque gained even more of a following when it picked up and moved to the Palace Hotel on Madison Avenue—and then again, the legendary restaurant continued its evolution, changing locations to the Bloomberg building on East 58th Street. Regardless of site, the spirit of Le Cirque translates to entertainment and living life fancy free. As the family business has expanded to Las Vegas and Mexico (editor's note: Le Cirque Mexico closed in late 2009), the rest of his immediate family (Sirio's wife, Egidiana, and their three sons, Mario, Marco and Mauro) have gotten in on the act. Sirio fascinates us as he has so many, due to his animated speech, his straight-shooting opinions, his uncanny ability to charm his way around a room, and his ceaseless drive and ability to make the headlines. We are proud to honor this living legend of restaurants.